Brahmkhass Chakri, Kurti Dal, Kikad roti with malta ka sharbat for lunch? I would rather order a Pizza and coke. I haven’t even heard these names! This was me before I got exposed to the rich food varieties preserved by Gond tribe in Madhya Pradesh. The food is organic and far above the urban food in terms of nutrition. Gond or Gondwanas, the largest surviving tribe in India, are traditionally forest dwellers and are in complete harmony with nature. This is echoed in their food habits that consist of varieties of grains and pulses mostly superior to their commercial counterparts. Their unique cooking methods also reflect balance and authenticity. 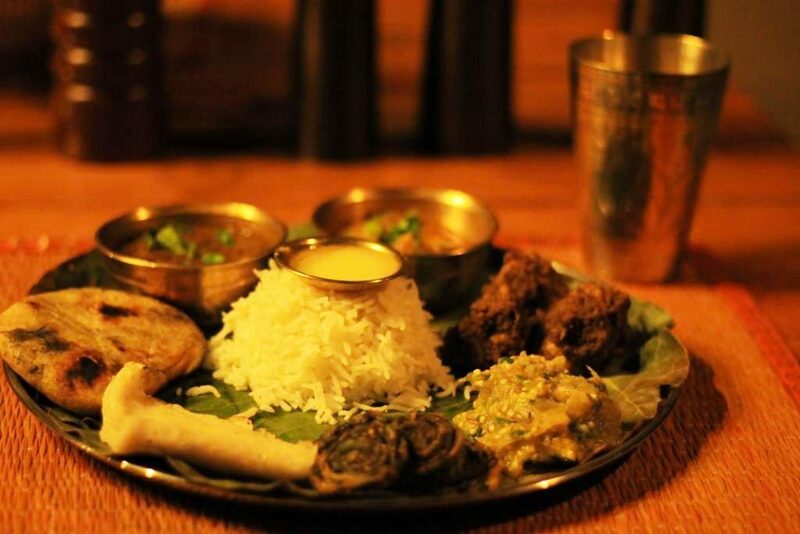 I had the luxury of tasting an exclusive Thali inspired by food of Gond tribes during my stay at Kanha Earth Lodge. As a North Indian, thali reminds me of a variety of food enriched by a plethora of spices and oils but this one changed my perception about the flavours a quintessential thali can offer. Food truly is a means for cultural exploration for any community or region. This particular thali that consisted of the best of gond food, was put together by the corporate chef, Ms. Vijaylaxmi, a Masterchef India participant . She spent months sampling the local cuisine, attending village haats for understanding the local produce, visiting the kitchens of local women and understand the local flavours and cooking techniques. Then she brought out the best of her memorable experience of this journey through new addition of Gond Thali in their menu. 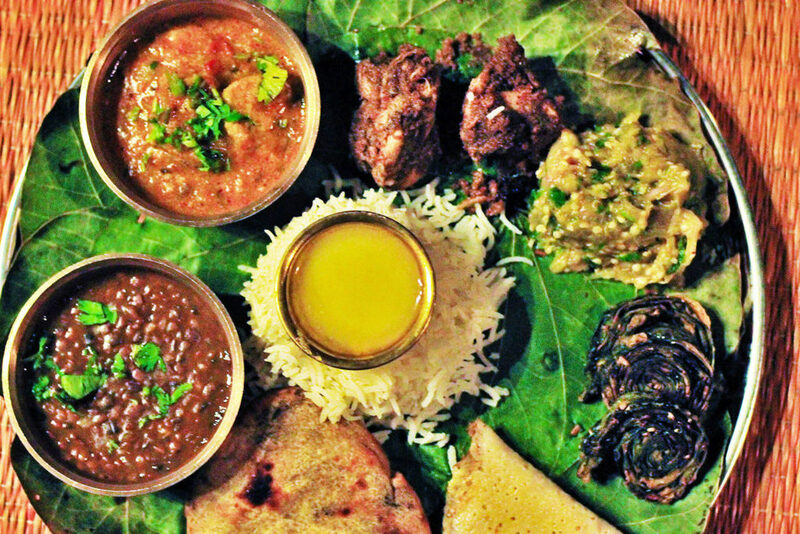 The highlights of the thali were kurti dal, special preparation of a local grain, brahmkhass Chakri, Kikad roti, and bedra chutney. 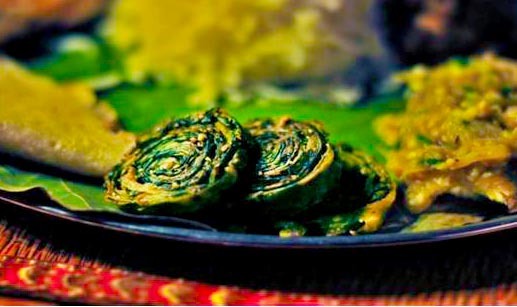 Talking about interesting cooking methods, kikad roti grabbed my attention the most. It is made by pressing small balls of aata dough between camel foot leaves and cooking it in live fire. 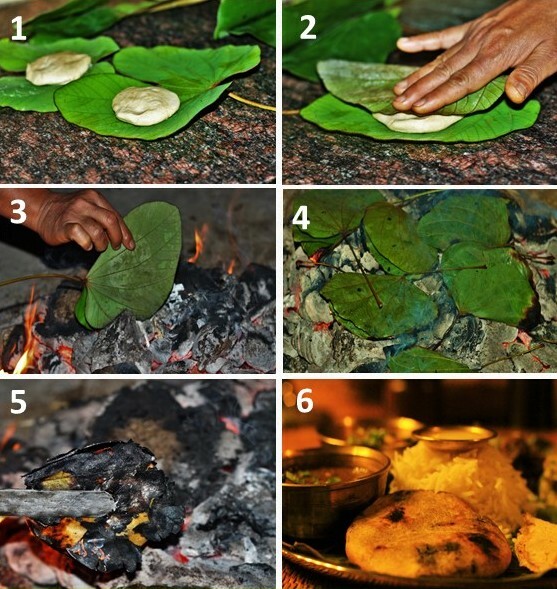 Once leaves burn and roti is crisp and golden brown it is removed from the fire and served hot. Gond diet has two staple millets – askodo and kutki. They are often day meals in the form of broth and night meal in the form of dry cereal with vegetables grown in gardens or picked up from forests. One cereal that is a luxury for them is Rice. Gonds enjoy rice during special festivals and feasts. Liquor made from Mahua tree is also a favorite amongst them and prepared in every second house. 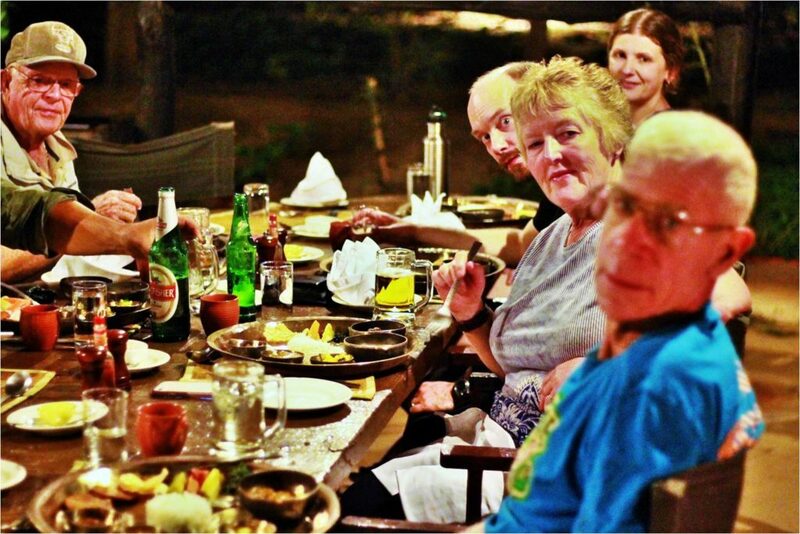 Along with other visitors at that table, I also believe that I only got to experience a snapshot of their culture and there is a lot more to explore. I will definitely be visiting again to find out more about hidden gems in the jungle. Posted on July 9, 2018 by pugdundee blog. 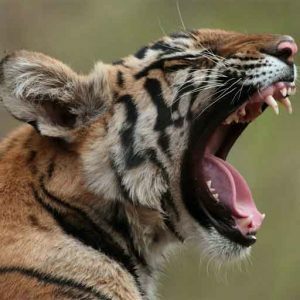 This entry was posted in Food and tagged best place to eat in kanha, Best place to stay in Kanha, kanha earth lodge, local food in kanha, Tribal food in Kanha. Bookmark the permalink. I am really thankful to you for this post. Since I am going to visit Kanha next week and I was a bit doubtful about the food that quality of food. But after seeing your post I am more confident that I am going to enjoy my trip with delicious food. Your post simply shows how much you had loved this experience. It is enthralling to learn this particular region’s traditional food and with your share, it tantalizes us to venture into this adventure.